Krafting Kreations: Hand Painted Signs now in the Shop! I've had an Etsy store set up for quite some time now, but I haven't been great about actually listing the items I make. So I'm working away this year to actually get my store stocked up. 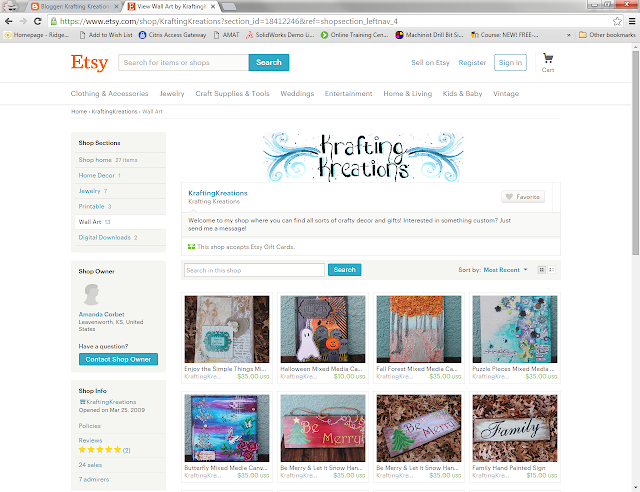 So yesterday I added my stock of hand painted signs and mixed media canvases into my little shop window on the internet. If you want to take a gander at my wares just click HERE.